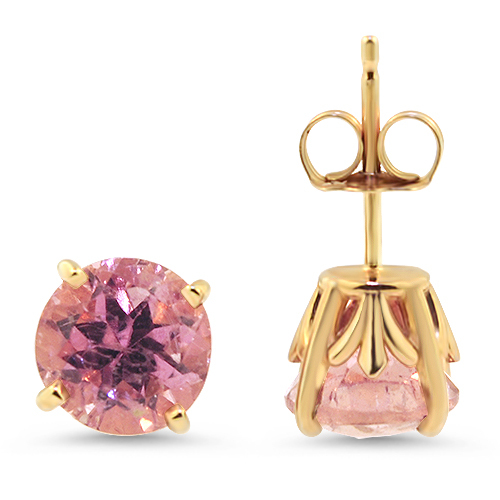 Home / TOURMALINE / Tourmaline Earrings / CE2744 0.90cttw trillion cut mint Tourmaline prong set in 14KW dangles. 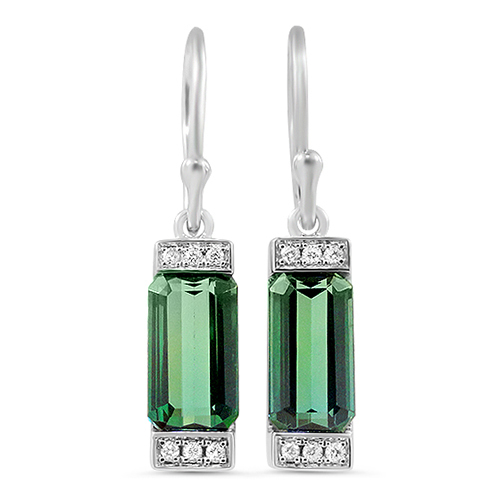 0.90cttw trillion cut mint Tourmaline prong set in 14K White Gold dangles. 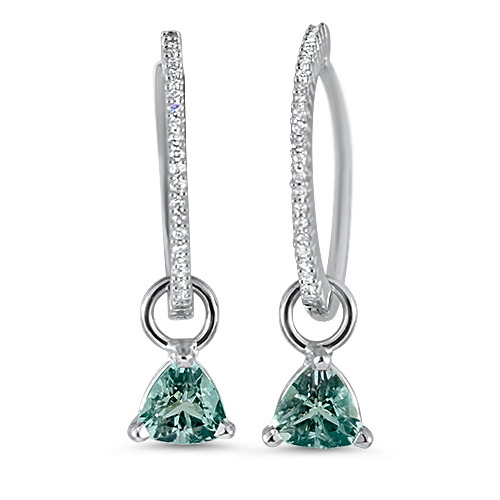 The tourmalines are on a 14K White Gold 0.12cttw Diamond Hoop. 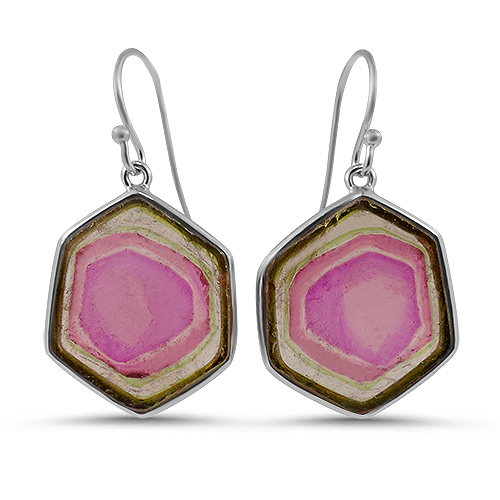 The earrings are interchangeable and can be worn with or without the Tourmaline.